The 3M Mold Remediation Respirator Kit 68097 offers ready-to-use convenience with a full facepiece and two pairs of particulate filters that help reduce exposure to mold and low-level organic compounds produced by mold. This kit is a simple, one-stop solution to help provide protection during most mold remediation activities such as vacuuming, sanding, removal, and disposal. The kit also provides nuisance odor relief for organic vapors. Enhanced comfort and visibility features make wearing the respirator noticeably more enjoyable to allow for full day comfort on the job. 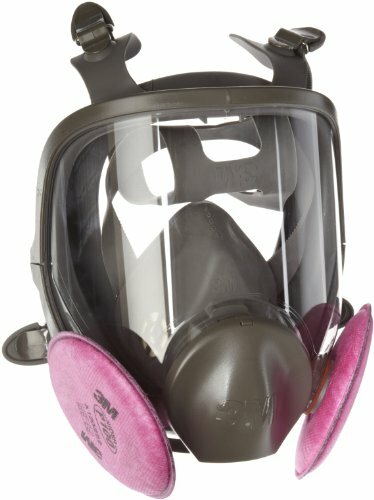 The facepiece included in the kit is reusable for use with replacement filters, a cost-saving feature for future mold remediation projects requiring respiratory protection.